All about fantasy - movies, t.v. shows, books, reading, and writing! I was lucky to live in Hawaii for nearly seven years and let me tell you - I did not take it for granted! I drove all over the island, exploring every nook and cranny. I hiked as many trails as I could (some illegal!) I kayaked and I camped and I snorkeled. I discovered rock climbing. I visited the other islands - OFTEN. And I spent A LOT of time on the beach! The Mac Nut Farm is a hidden gem and a blast to visit! It's a family owned farm that was started in 1987. Today you can find every flavor of macadamia nut and macadamia nut products (chocolates!) and coffee in the gift shop And they have free samples of everything! They also carry local products like art and jewelry. I've picked up a few special pieces of local art here. The best thing about the Mac Nut Farm is the tour (done by Alii Tour). This isn't some old boring farm tour. This is a big production with talented performers! Hop on a bus with some local guys dressed up in costume and acting the part. Get ready to laugh! The tour guides flirt shamelessly with the women. They drive you around the property and point out plants and where famous TV shows and movies have been filmed. (Gilligan's Island, Fantasy Island, 50 First Dates, Lost, Tears of the Sun and Along Came Polly.) There is a brief stop at a scenic luau area where the tour guides entertain and educate by teaching how to start a fire with sticks and crack a coconut. You get to try your hand at cracking the coconut too and then you get to snack on it! They also throw in a little fire dance, because what Hawaiian tour isn't complete without a fire dance? And then they head off again this time to a little man made pond where everyone jumps on a boat for a short ride. Back on the bus and back around to where it all started with plenty of chances for pictures along the way. As you can see, the Mac Nut Farm was a memorable experience for me! I went several times while I lived on Oahu. I highly recommend it. But the tours are only twice a day so book your tour early and plan your trip around it. What's your favorite out-of-the-way spot on Oahu? Interested in reading my first novel, Naupaka Blooming, a Hawaiian love story based on the myth of the naupaka flower? Read the first chapter FREE! I realized last night as I sat re-reading Eat, Pray, Love for the first time in ten years that my debut novel is being released almost ten years to the day that the book that changed my life was released. This seems somewhat monumental. Even more monumental is the fact that I started writing my novel seven years ago. Self doubt plagued me and I put it away many times thinking it was a waste of my time. Thank goodness I didn't give up on it! It's interesting to me that I finally published it now. This month. This year. Ten years after my life changed. Seven years after starting it. Number seven is considered a lucky number. It's popular too. There are seven days of the week, seven colors of the rainbow, seven notes on a musical scale, seven seas and seven continents. Snow White ran off to live with seven dwarves, there were seven brides for seven brothers, Shakespeare described the seven ages of man, Sinbad the Sailor had seven voyages. And James Bond's secret code was 007. Multiple anniversaries are occurring for me this week. Nine months ago I found out that I was pregnant with baby number two and I was ecstatic! My husband and I were living in Hawaii at the time but we decided that if we were going to grow our family then we needed to move back to Portland to be near family again and so we immediately started making plans. Unfortunately several weeks later I lost the pregnancy (on the same day that my husband gave his notice to his boss) It was too late to change our plans to leave Hawaii and it was too late to have any more kids. I am 45 years old this year and while some people might say that 45 is the new 35 and women in their late forties can still have kids, I know that my time has come and gone. I have absolutely nothing to complain about because I have already been blessed with the most beautiful, amazing daughter. I feel incredibly lucky every day that I get to be her mom. She is everything that I never knew I wanted! What's funny is that I never really had the desire to have kids until my late thirties but I always knew that I would have a daughter. You see, when I was a young girl a friend made a paper fortune teller and we told each other our futures with it. I was told that I would have 1 daughter. Ever after that, even though I didn't have the desire to have children, I knew I would one day have a daughter. As I look back on my life now I can clearly see a pattern. Through heartbreak come breakthroughs and the universe is always there, guiding us along. If I hadn't gotten a divorce in 2006 and moved to Hawaii with a broken heart, then I never would have experienced the Aloha of the islands which transformed me, inside and out. And I never would have met my soul mate and we never would have had our beautiful daughter. And if I hadn't thought I was pregnant again last year then we might not have made the move back to Portland and I might not have felt compelled to finally publish my novel. And if I hadn't finally pushed past my fears and limiting beliefs to publish my novel then I wouldn't be pursuing my dream of writing full time now. I believe that the universe has been leading me to this point for a very long time. I was just too stubborn to listen - until now. The week before I published my novel I was near to having a panic attack, fearing for the reaction I would get to my writing. I sat down to read A Camino of the Soul in the middle of the day one day because I had promised to read it for a friend and I just wanted to escape my fears for a while. I read straight through the book. I was so inspired by Katharine's story about listening to the universe and how she was able to follow her dreams in spite of life's setbacks and her fears that my own fears for my writing completely dissolved. I contacted Katharine on Facebook and we had an amazing and intimate conversation and instantly became friends. Once again the universe sent me what I needed to keep moving down the path I was meant to be on. I'm getting better at listening! We are all interconnected, a part of something bigger and we all have purpose in this life. If we pay attention the universe will guide us. There is great joy to be found in fulfilling our purpose, following our dreams, and making a difference. I highly recommend you read Katharine's book if you want to learn more about her experience with the universe. You'll see why it's a 5 star best seller on Amazon! What is the universe trying to tell you? What are your big anniversaries and lucky numbers? Want to read my first novel? A five star love story set in Hawaii and based on the myth of the naupaka flower. Read the first chapter for FREE! It's hard for me to believe that it's been ten years since Eat, Pray, Love came out! In 2007, I was seeing a therapist who recommended that I read it. I had just moved to Hawaii after my divorce and I was raw and I felt insignificant and unworthy. I was initially resistant to reading any type of inspirational book so I wrote her suggestion off. But one day in a bookstore I saw it sitting there and the cover was beautiful and it seemed to be calling out to me. So I decided what the heck and I bought it. Boy, was I in for the ride of my life! Now a new book has just come out to celebrate the ten year anniversary of Eat, Pray, Love. It's a compilation of readers short essays sharing how the book changed their lives. Eat, Pray, Love Made Me Do It is nearly as powerful as the original. Reading about all the lives that were dramatically altered because of Elizabeth Gilbert's memoir is inspiring and incredibly heart warming. I love hearing stories of transformation! I've never devoured a book the way I devoured Eat, Pray, Love. I was hooked right from the start. I highlighted and re-read and analyzed and even made a Word document with my favorite passages. I told all my friends about what an amazing book it was. At the end of the book when Elizabeth Gilbert talks about her future self waiting for her present self to catch up, I knew my future self was waiting for me too and I knew I needed to read more inspirational books. So I went to Elizabeth Gilbert's webpage and looked for her suggestions on other books to read. She recommended Pema Chodron. Pema Chodron changed my life too. I looked her up on Amazon and found that she was highly rated and recommended so I ordered everything I could of hers. I immediately set out reading her books and listening to her retreat recordings. I had so many "A ha!" moments reading and listening to Pema. The first and most memorable was when Pema described the hook, or "shenpa", when something gets under your skin and irritates you and you go off. That was so me! I've always had anger issues. But after Pema, I actually started catching myself when I would get "hooked" by something someone said or did and now I would laugh about it instead of loosing myself in it, getting angry about it or acting out because of it. I was so changed already that one day when I got together with a close friend who had been away he mentioned that I had a new glow and that something was different about me. I told him all about Eat, Pray Love and Pema. My love of inspirational books has only grown since then. I have discovered Eckhart Tolle now. His book, A New Earth was another transformational read for me. Eckhart talks about when he was depressed at one point in his life and he thought to himself "I cannot live with myself" and then he realized what his thought meant - that there were two of him. The "I" and the "myself" that the "I" couldn't live with. There is the mind (or the ego) and there is the consciousness that witnesses the mind. Our minds can run us ragged without us even realizing it. But we can become aware of our minds and we can control our minds. It takes practice. Meditation is the key. Shutting down my ego and living in a new state of presence and consciousness has been an ongoing goal of mine ever since reading Eat, Pray, Love. Is it easy? NO! I fall back sometimes and let my anger take over and my husband kindly reminds me to get back on track. Which is funny because I taught him about this stuff! Is it worth it? Absolutely. There is so much peace in being more aware and letting go. I wouldn't be married again, this time to the love of my life if I hadn't learned what I learned nearly 10 years ago starting with Eat, Pray, Love. I wouldn't have a beautiful three year old daughter who is the light of my life. And I wouldn't have finally just published my first novel, a life long dream. Thank you Elizabeth Gilbert! For being brave enough to go on your adventure and for being brave enough to share your story with the world. What did reading Eat,Pray, Love make you do? If you are interested in reading my novel, Naupaka Blooming, you can read the first chapter for FREE! I have to admit that the only reason I am here today, about to publish my first novel, is because I joined Self Publishing School. When my novel was finished and I decided to self publish I knew I needed to learn all the ropes of self publishing. I wanted to make sure I did everything I could to make my book a success but I didn’t have a clue as to what to do. I also needed some accountability because it’s really quite scary putting your work out there for the world to read and possibly criticize. I might have sat on my novel forever with fear. But I didn’t want to let fear win! Chandler Bolt’s Self Publishing School promised to get me to the finish line and beyond and they promised I would reach best seller status. So, I nervously handed over my credit card information thinking I could always get it refunded if they failed me. Within a couple of days I knew I had done the right thing. 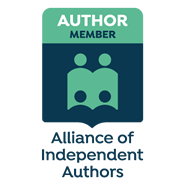 Self Publishing School lays out every step of the writing and publishing process in simple terms for you to follow and the community of writers is simply amazing. The support and advice are invaluable. I’m so glad I took that leap of faith and dived in to SPS. So of course now I have to spread the word and heartily recommend SPS to anyone who wants to write any kind of book whether it be fiction, non fiction or even children’s books. Do you know a lot about health and fitness and want to share it with the world? Write a book and let SPS help you make it a best seller! Do you want to write a series of fictional fantasy books? Do it and join SPS for the support and advice on getting it to the top of the charts. 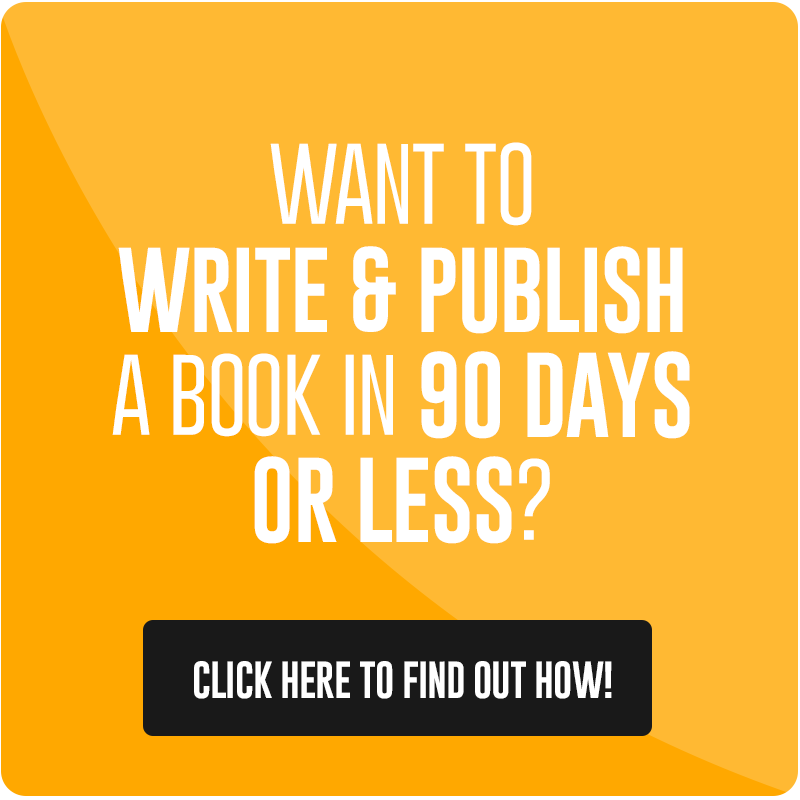 Do you want to write a memoir? A children’s book? A spiritual book? Make your dreams come true! Don’t wait as long as I did. Just go for it! Now! I am not the type to sell things so the fact that I am talking so passionately about SPS means it is freaking AWESOME! Join me on a wild ride! Sign up today to get my new blog posts emailed to you! I try to inspire, motivate, entertain or inform on a weekly or semi-weekly basis. I've learned a lot in my 45 years on this planet and I'm still learning! If you're interested in writing, reading, or the meaning of life then I want to share what I've learned. The whole point of being here is to learn and grow and help others! I'm a romantic at heart with an overactive creative mind and an artistic soul. I've always been an avid reader - I read as much as I can as often as I can! Writing has been a life long dream that I haven't allowed myself to pursue until just recently. In April I finally published my first novel - Naupaka Blooming, a Hawaiian Reincarnation Romance. And now I'm working on the first book in a new fantasy thriller series called Summer's Shadow.